We all can take advantage of some money-saving strategies, whether or not we have Financial Deficit Disorder. Whether you want to save money to buy a house, sock away for retirement, college or a rainy day, here are five tips, adapted from my book “Your First Home: The Smart Way to Get It and Keep It,” that will help you slash your expenses. There are a lot of expenses involved with having a car: gas, maintenance, insurance, parking, and a monthly payment if you have a loan. To save on gas and parking, you can give up a paid covered parking spot and park for free on the street, or take public transportation into the city to avoid feeding quarters in a meter or shelling out cash at a garage. To save on car insurance, opt for a higher deductible in exchange for 10% to 25% off your annual premiums, or ask your insurer about good driver discounts, discounts for having an alarm system, or lower rates for taking a defensive driving course. You can even save on your car loan by refinancing it, just as one might a mortgage, but without the closing costs. Try Capital One Auto Finance, which offers refinances in 15 minutes. I know you already know you can save money if you went to fast food or sit-down restaurants less often, but you can also save money by keeping those loose coins in your pocket. Stop making daily runs for coffee or ice tea, or even donuts or a bagel before work. (You can buy a whole bag of bagels from the grocery store for the cost of just one bagel at some delis, so why not just grab one out of your cupboard instead?) and avoid those trips to the vending machines for junk food. 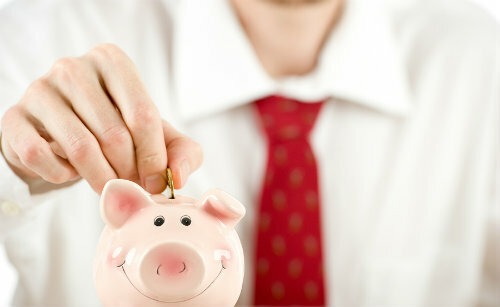 Many people spend about $5 to $8 a day on drinks and snacks, amounting to $1,200 to $$2,000 a year! While you’re saving by buying those bagels and snacks at the grocery store instead, don’t forget to clip coupons and use them to save even more! Save Money by Kicking Bad Habits. If you have a habit that’s hurting you, financing or health-wise, it’s time you kicked the habit. For example a chain smoker could save $300 a month or $3,600 a year! If you’re a drinker, cut down from three drinks on your nights out to just one and save yourself $10 – $20 by the end of the night. Leaving appliances plugged in when you’re not using them only adds to your electric bill. Unplug toasters, coffee makers and blenders until you need them and only run dishwashers and washing machines when the load is full. If you make a habit of all this, you’ll save 10% on your energy bills. Stick to free or low-cost forms of entertainment. For example, choose free museums — or even if it is a paid museum, most offer a free or discount day, attend then. Walk around a lake or have picnics in the park. If you’re a partier, get to the club early before they start charging a cover. For those of you who wouldn’t be able to resist buying more drinks because you’re there longer, then opt for a party at a friend’s house.